Prince George's County Police arrested a suspect in the killing of a man in Suitland, Maryland, early Monday. 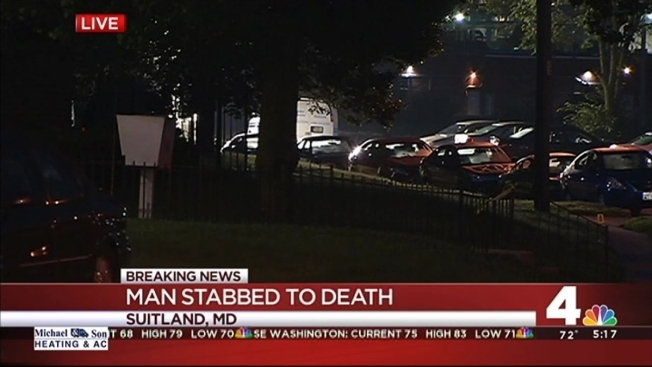 Willard Darnell Smith, 26, of District Heights was stabbed in the 4700 block of Huron Avenue just after 2 a.m. He died from his injuries at an area hospital. Officers got a description of the suspect and found 36-year-old Nelson Howard Ford walking in the area, police said. He was taken into custody and is facing a charge of first-degree murder. Police do not believe it was a random stabbing. "These people are just taking lives like it's nothing. Like no life out here means anything," said neighbor Fred Reaves. Anyone with information that can help police should call 1-866-411-TIPS. You can remain anonymous.